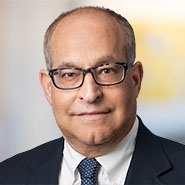 Greenberg Glusker Real Estate partner Henry Finkelstein was quoted in a Law360 article published August 25, 2016, “4 Challenges When Repurposing Office Campuses,” (subs. required) about the challenges developers face in repurposing large office campuses as companies increasingly move jobs from suburban campuses as a result of the shift of millennial workers to city centers. Obtaining local zoning approval for non-office use is one of the major challenges in repurposing corporate space and requirements for rezoning can be even more stringent than in the prior use. “In one instance [in San Jose, California] we did a conversion to medical office and the city’s code requirements for parking were enough stricter than the prior general office use that we had to wall off part of the space and just use it for storage because we couldn’t meet the required parking ratios … for the building,” said Finkelstein. Repurposing office properties designed for that purpose only also poses challenges for developers when designing and constructing the space for new use. “We had to spend so much money to do it right … that we lost a lot of the extra value in having a multistory building," Finkelstein added.